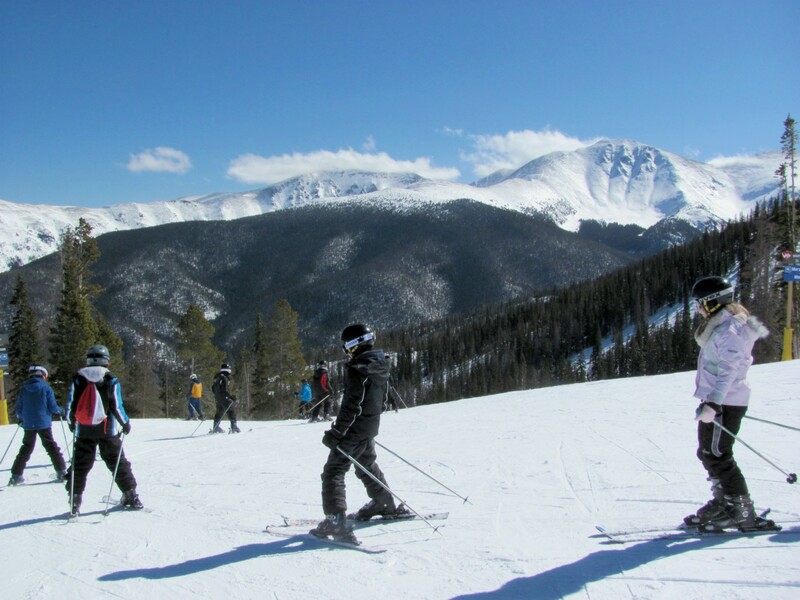 Colorado Ski Country USA (CSCUSA) resorts are treating beginner guests to a number of ski school deals and packages this season that are especially attractive during the month of January, which is Learn to Ski and Snowboard Month. The snow from recent storms that spread across the state has left ideal conditions for beginners to learn, and presents the opportunity for seasoned sliders to expand their winter sport repertoire. With the industry’s top instructors, legendary ski schools, and packages teeming with value, guests are sure to find the resort, program, and experience that caters to their needs. Below are lesson packages available at resorts throughout Colorado Ski Country, and ski school specials pertinent to Learn to Ski and Snowboard Month. Every Sunday in January, Arapahoe Basin will have special lesson and rental packages for newbie skiers and riders. These specials are specifically geared toward first-time skiers and riders – those who have never stepped foot in a binding or on a mountain. All packages include lift ticket, rental and lesson. Lessons are half-day, morning only. With Arapahoe Basin’s One Run Lessons, Guests of any age and ability are matched with an instructor for one run from the Black Mountain Express lift to the base area. The purpose of this lesson is to suggest minor changes or improvements to the guest’s technique, and to introduce the guest to the resort’s snowsports instructors. Sign-up is first come, first served, DAY OF only. Regardless of ability or discipline, guests can take advantage of four fully-transferable half-day, morning lessons for less than $75 per lesson. They can be used for kids, friends, or in combination with family members. They are available for all ability levels ages 3 and up, for child or adult skiing, snowboarding and telemark lessons (telemark lessons available Saturday and Sunday only). Lessons are good until April 28, 2013. Lift Tickets are not included and are available for $15 for kids and $25 for adults. More information can be found at http://www.arapahoebasin.com/. Learning to ski and ride isn’t just for kids. Aspen/Snowmass welcomes adults to Elk Camp Meadows in Snowmass, where students will learn to ski and ride mid-mountain in a private area specific to beginner skiers and snowboarders with their very own lift and magic carpet. Aspen/Snowmass pros will get beginners out and about on the “easy” runs that will challenge them just enough. The accelerated learning method and equipment helps students succeed, and the resort’s top pros teach the lesson. Students will learn the basics of skiing or snowboarding from pros who practice a teaching method that promotes peak performance and confidence, and educates about the right equipment and mountain awareness. Aspen/Snowmass is so confident in this lesson that they created a unique package around it. Available at Snowmass and Buttermilk every day, this program is best for adults who are first time beginners or who are only comfortable on beginner terrain. Beginner Levels (green terrain only levels 1 – 3) Lesson is a full day: 10:00am – 3:00pm and includes: lesson, beginner magic rental equipment, and a beginner area-lift ticket. Costs run as follows: Full day: $203, full day with 7-day advance purchase: $193, one day extension: $143 per day. Three full days: $429, three full days with 7-day advance purchase: $408. More details can be found at http://www.aspensnowmass.com/. Learn how to ski and ride right the first time. Copper Mountain Ski and Ride School offers 50 percent off on second day lessons when a two day adult lesson is purchased. 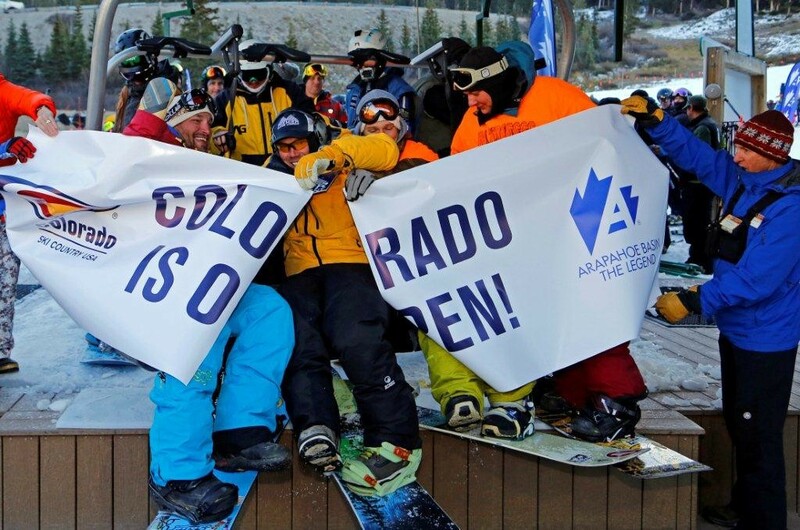 For more information please visit http://www.coppercolorado.com/winter/ski_and_ride_school/adult. Learn to ski and snowboard at Copper Mountain without breaking the bank this January. Easy Rider carpet in Center Village is free for those just learning how to slide down the mountain. Once guests get the hang of skiing and riding and are ready to test their skills on more beginner terrain, a lift ticket for Pitchfork beginner chairlift is available for $15 and is the perfect terrain to hone in on new skills. Both tickets are available at a Copper Mountain ticket window and available all season long. 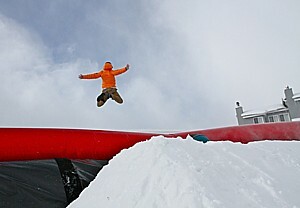 Learn how to spin in the park or conquer a box or rail with Copper Mountain Ski and Ride School and Woodward at Copper. Start the day at the Schoolhouse for skiing and riding then head to the Woodward Barn for a unique and fun experience on trampolines and in foam pits. Lesson packages include a lift ticket, lunch, and real-time GPS tracking provided by Flaik for superior safety and peace of mind for parents. Walk-ups are accepted until 9 a.m. on the day of lessons. Advanced Reservations are highly encouraged, for more information please visit www.woodwardatcopper.com. Loveland Ski Area’s 3 Class Pass encourages a lifelong love of snow sports by rewarding first time skiers and snowboarders ages sis and up that complete three lesson packages with a free season pass. Newcomers can also pre-purchase the three lesson packages and use the pass all winter long. Explorers is a six week program where intermediate skiers and snowboarders ages 7-14 train with top level coaches from The Loveland Ski and Ride School and The Loveland Ski Club to develop their skills. Children learn and explore with the same coach all six weeks and the groups are limited to six students to one coach. Package is $469 and includes six full day lessons with lunch and a season pass. The Loveland Ski and Ride School offers a unique private lesson for families looking to learn to ski or snowboard together. Up to four family members age seven and older learn together with the same instructor in a two hour newcomer lesson for first time skiers or riders. The $395 includes two hour lesson, beginner lift tickets and equipment rentals for four people. More information can be found at http://www.skiloveland.com. Purgatory at Durango Mountain Resort is offering three new low cost packages during January 2013 for children and adults who want to learn how to ski and snowboard. These new packages are only valid at Purgatory January 7-31, 2013 as part of national “Learn to Ski & Snowboard Month” and are geared toward people who have never skied or snowboarded and want to learn. Includes a full-day ski or snowboard lesson for adults/children, basic rental equipment for two days, and two days of lift tickets. Includes the 2-Day Basic Beginner Lesson Package ( lift tickets, rentals & lesson), plus two-nights lodging, based on quad-occupancy in Lodge at Tamarron. Some restrictions apply. Includes a full-day ski or snowboard beginner lesson for adults/children, basic rental equipment for the day, and a beginner lift ticket. Upon completion of the 1-Day, 2-Day or 2-Day plus lodging programs, participants will receive a card good for discounts on lessons, lift tickets and rentals for the remainder of the season through March 31, 2013. These discounts are valid for use of the beginner only. Basic rental packages include skis/snowboards, boots, poles and helmet. Pre-registration is required for participation. Visit www.skipurg.com/lssm for details and to register. The Season Pass Series is designed for first timers ages eight and up who are new to either the sport of skiing or snowboarding and ready to commit to three lessons. At the end of the lessons, students have a great foundation and will be able to take their new skills all over the mountain. Additionally, when they complete all three sessions, they will get a free season pass for the rest of the season. One of the most popular programs at Powderhorn, Young at Heart is for skiers or riders over age 50 and this January special sessions will be held specifically for January Learn to Ski and Snowboard Month. Join the resort every Thursday to ski with friends and a guide from the Ski and Ride School. Groups are divided by ability, with an emphasis on fun, camaraderie and ski time. Stay after the lifts close for the weekly apres ski party in the Sunset Grille. Learn to Ski and Snowboard sessions will be held Jan 10, 17 and 24. The 3 Lesson Season Pass Program is available for first time skiers and riders at Ski Cooper. Participants can pay as they go and upon completion of the third lesson, they are eligible to receive a Ski Cooper 2012-13 season pass. Details and more information can be found at http://www.skicooper.com/ or by calling (800) 707-6114. Ski Granby Ranch has long emphasized beginner-friendly ski environments and instruction, and to turn first-timers into lifelong skiers, they’re offering a Get on the Snow (GOTS) program, where newbies complete two days of comprehensive instruction (including lift tickets and rentals) for $199 – and walk away with a season pass to boot. The GOTS program emphasizes watching and learning with others in a group setting which creates a comfort level for the beginner. GOTS is offered January through mid-March, some date restrictions apply and reservations are required. Details can be found at http://www.granbyranch.com/. The Steamboat Ski & Snowboard School’s Learn to Ski & Learn to Ride clinics pair first time winter enthusiasts with some of the best instructors in the industry, including former Olympians, collegiate athletes and more. The resort is so confident that “Never Ever” students will be skiing or riding comfortably on green runs after their three-day programs that they guarantee it. Learn to Ski & Learn to Ride Packages offer three days of instruction, gear rental, lift tickets and the same instructor for all three days of instruction for 16 year olds and up. The Learn To Ride Program is part of the signature Burton clinic and features specialized equipment and proven teaching methods designed to help first-time snowboarders. Booking Learn To Ski or Learn to Ride Packages seven or more days in advance can result in a discount. For reservations call 800-922-2722, and for more information visit www.steamboat.com. The Learn to Shine program at Sunlight encourages beginners to take on three days of lessons with a free 5-day ski pass awarded upon completion. The package includes three days of lesson, equipment rental and lift tickets for $325. Guests can choose what days to take their lessons, whether they are consecutive or not. More details can be found at http://www.sunlightmtn.com/ski-school/learn-shine. Enjoy miles of beginner terrain with instructors teaching skills that will have guests successfully skiing on their first day. With the 3 Day Beginner Package, guests can buy two days and get the third day free – includes lift, lesson, and rental. First time skiers only. 11:15 a.m. – 3:45 p.m.
Telluride partners with Burton Snowboards to offer the best experience in snowboard instruction. Included in the lesson are specifically designed beginner snowboards, boots, and bindings – which quickens the learning curve. Smaller class sizes and gentle terrain complete this unique experience. Package includes lift, lesson and rental. With the Learn to Ride Beginner Snowboarding Package, buy two days and get the third day free – includes lift, lesson, and rental. First time snowboarders only. Learn to Ride Beginner Snowboarding is offered 11:15 a.m. – 3:45 p.m. More information can be found at www.TellurideSkiResort.com. Winter Park is home to North America’s infamous natural bump terrain, Mary Jane. With six hours of daily coaching from Winter Park Pros, guests will be navigating the bumps best in no time. Students finish out the day with a special après party and video analysis. Winter Park Ski + Ride School Director, Bob Barnes, and his top mogul coaches perfect bump skiing for novices and experts. Groups are based on ability level and range from blue bump runs to double diamond bump runs. The Beginner Package at Wolf Creek Ski Area keeps things easy for first timers by offering never-ever skiers and snowboarders a combination lift and group lesson ticket. The $56 includes four hours in a group ski lesson plus the beginner Nova double chairlift. Lessons are from 10:00 a.m. – 3:00 p.m., with a one hour break for lunch. For $66 the lesson includes the same deal for snowboarders. This package is offered to adult skiers/boarders as well as to children, ages nine and older. More information can be found by visiting www.WolfCreekSki.com. 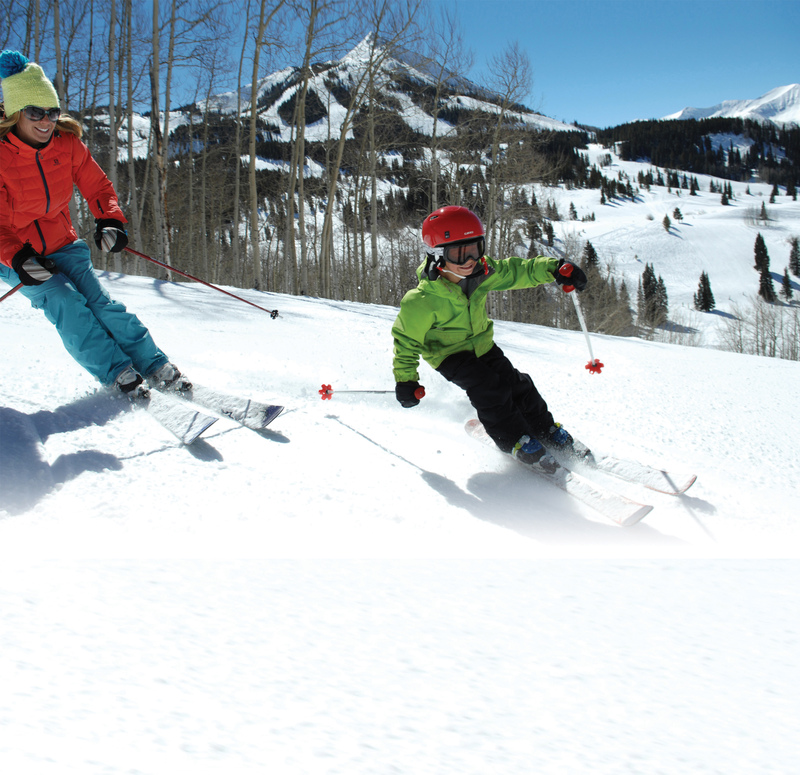 Families visiting Crested Butte can take advantage of the free skiing for kids six and under, free Mountain Express shuttle from Mt. Crested Butte to Crested Butte and free fourth night of lodging (photo courtesy of Crested Butte Mountain Resort). Skiers and riders have a lot of options to get more out of their ski season this year as Colorado Ski Country USA (CSCUSA) resorts build in value to ski vacations with an assortment of free activities. From concerts, to races, to lift tickets, savvy deal seekers will find plenty of choices for fun and enjoyment offered completely free of charge. Arapahoe Basin’s May Concert Series is not only free but entertaining. Free concerts will be held in the base area every Saturday in May from 1pm-4pm. Guests are invited to follow spring skiing with libations and live music. Aspen/Snowmass plays host to a number of events throughout the season, including the X-Games, World Cup Races and concerts. All events at the four mountains are free. Families visiting Crested Butte can take advantage of the free skiing for kids six and under, free Mountain Express shuttle from Mt. Crested Butte to Crested Butte and free fourth night of lodging. Sitting at the edge of Grand Mesa, Powderhorn Resort provides breathtaking views of the valley. Guests can take in the scenery on a free, one-hour guided mountain tour. Tours are offered every Saturday and sign-up is located at Guest Services. Guests at Purgatory now have the chance to experience the latest craze in winter sports—snowbiking. Purgatory Ski and Ride School offers free snowbike licensing, which guests will need to have before speeding down the slopes. Rentals are available at Purgatory Rentals. Kids at SolVista Basin at Granby Ranch can go straight from the slopes to the sledding hill for more fun on the snow. The Sledding Area is fenced off from ski traffic and provides kids and adults alike with a perfect place to play when the lifts are closed. For those who want to stay out of the cold, Telluride offers free gondola transportation between the resort, the Intercept Lot, and the core of the Mountain Village. The gondola runs seven days a week from 7:00am-midnight. Wolf Creek’s “Fun Series” offers races of all kinds during the 2010-2011 season. Entry is free and open to skiers and riders of all ages and abilities. The fastest racers in each age and gender category will receive gold, silver, and bronze medals and eternal glory. Steamboat has free skiing with Olympians Billy Kidd and Nelson Carmichael. Guests can get pointers from the best while skiing on Heavenly Daze or Nelsons’ Run. Grooming reports will let people know what days Billy is skiing at 1pm, as well as which Sundays Nelson is conducting his free clinic. Copper Mountain offers free snowcat rides to the legendary Tucker Mountain, where skiers and riders can access more than 273 acres and 1,200 vertical feet of terrain. Cats run on select days from 10:00am-1:30pm and depart from the base of the Mountain Chief Lift. Echo Mountain wants to help parents pass on their love of skiing and riding to the next generation. Lift tickets for children age five and under are free with the purchase of an adult ticket. Season Pass holders at Eldora can enjoy free access to the Nordic Center as well as more than 40 kilometers of trails for cross-country skiing, skate skiing, and snowshoeing. Just steps from the ski lift, Eldora’s Nordic trails meander through forests, snow-covered alpine meadows, and mountain peaks. The Nordic Center offers complete rental packages, lessons, and clinics. For those who have never tried skiing or riding before, Loveland has a great deal. Guests who purchase a 3-Class Pass from Loveland Ski and Ride school will receive a free season pass to help them work on their turns all season long. Monarch Mountain has free deals for skiers and riders of all ages. Children ages six and under, as well as seniors ages 69 and over, can ski for free all season long. Guests at Silverton Mountain can earn free unguided ski days by volunteering for Boot-Packing Days. Those who want to participate should show up—with pants duct-taped to boots—at the base area at 8:45am on any of the scheduled boot-packing days and be ready to pack down snow with their boots. No experience is required but participants must have a beacon and probe. Each day of boot-packing earns a free day of unguided skiing. One of Colorado Ski Country’s Gems Resorts, Ski Cooper offers Gems Cardholders one free season pass after completion of three lessons. Guests at Sunlight Mountain who print a coupon from www.sunlightmtn.com can get a free child lift ticket with the purchase of two adult lift tickets. When guests book a minimum of two nights of lodging at Winter Park between Opening Day and Christmas Day 2010, they will receive one free lift ticket per night booked. The “Ski Free at Winter Park” lodging package is available online at www.playwinterpark.com. 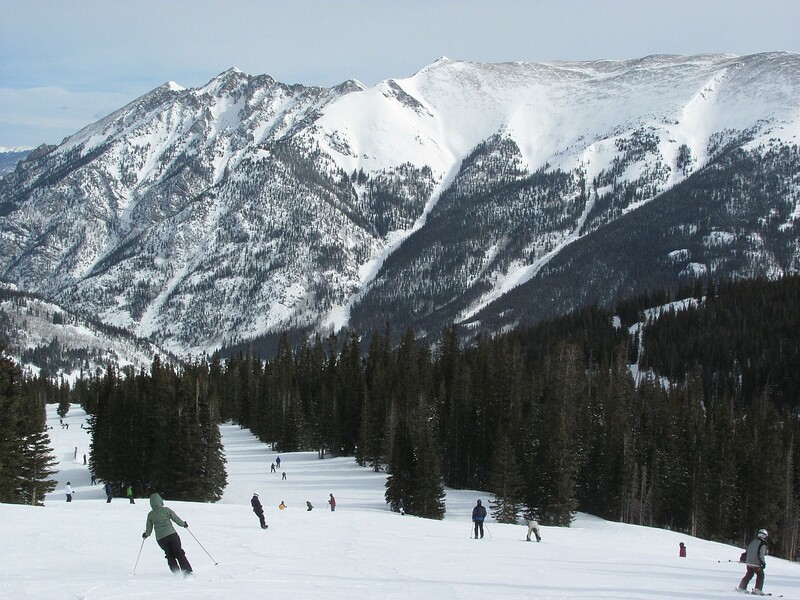 For Colorado Ski Country destination resorts trip planning information and tools, visit http://www.coloradoski.com.